The Merseyside, Cheshire & Greater Manchester Teacher Training Consortium is a registered educational charity covering the North West of England. It is an accredited provider and recommending body for Initial Teacher Training. As such, the Consortium is able to deliver – in partnership with schools – School Direct Employed Routes to Qualified Teacher Status. 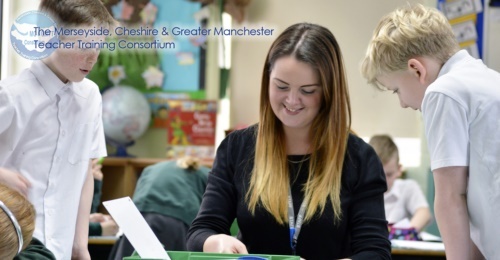 More information for candidates considering applying to schools working in partnership with the MC & GM TT Consortium can be found on the “Application Guidelines” pages. The School Direct Salaried Initial Teacher Training Programme is an employed twelve month school based route to qualified teacher status (QTS). The School Direct way of training teachers puts schools at the heart of the process, enabling them to have more of a say in the way that teachers are trained. Schools also select the accredited provider of teacher training they want to work with. Schools that wish to engage in the School Direct Employed routes to Qualified Teacher Status, by partnering with the MC GM & & TT Consortium, can find out more information here. What do previous trainees think about the School Direct Salaried Programme? Please await details re: applications for the Sept 2018/19 programme. There are also vacancies for the School Direct Salaried School/Self-Funded route. More information can be found by clicking here. This inspection was carried out by Her Majesty’s Inspectors, in accordance with the ‘Initial teacher education inspection handbook – September 2015’. 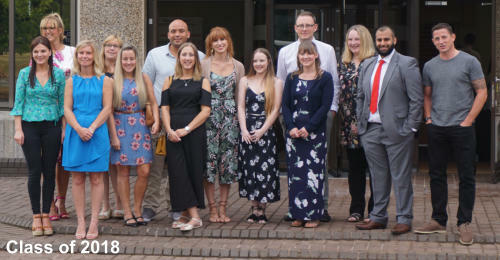 The Consortium was judged good in all areas - overall effectiveness, outcomes for trainees, quality of training across the partnership and quality of leadership and management across the partnership. You can read a full copy of the report by using this link.